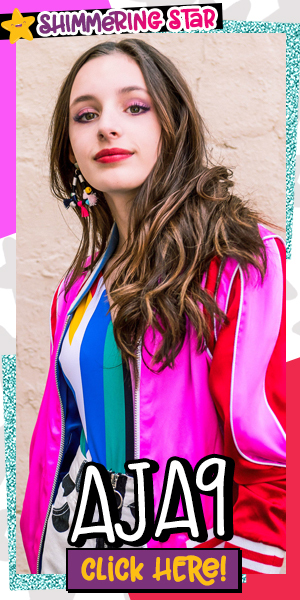 Lauren Magaziner Shares 10 Magical Facts About Wizardmatch | YAYOMG! Back in February 2016, we attended Lauren Magaziner’s book release party for Pilfer Academy. While taking some questions from her fans, she shared a little bit about a book she was working on called Wizardmatch. While she couldn’t share much about it other than that it was in the works and it was a story about a wizard competition, we just couldn’t wait to read it. 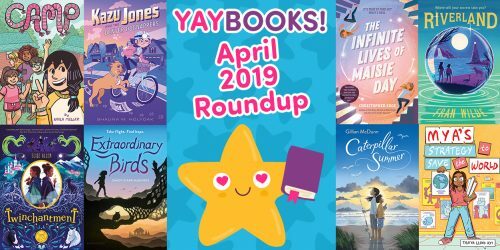 Wizardmatch finally released on March 6, 2018 from Dial Books for Young Readers, and it’s an extremely special read that’ll fill you with LOLs, GASPS!, and AWWs. 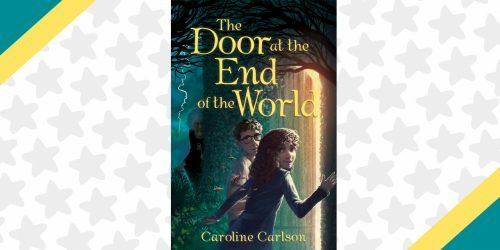 Take the hilarious, magic-infused world of Eva Ibbotson’s Which Witch, add the lovable feuding family from The Incredibles, and you’ll get Wizardmatch—funny, fantastical, action-packed, and totally heartwarming. Now, Lennie has her chance. Poppop has decided to retire, and so his grandchildren are coming from all over to compete in Wizardmatch. The winner inherits his title, his castle, and every single one of his unlimited magical powers. The losers get nothing. Lennie is desperate to win, but when Poppop creates a new rule to quelch any sibling rivalry, her thoughts turn from winning Wizardmatch to sabotaging it…even if it means betraying her family. 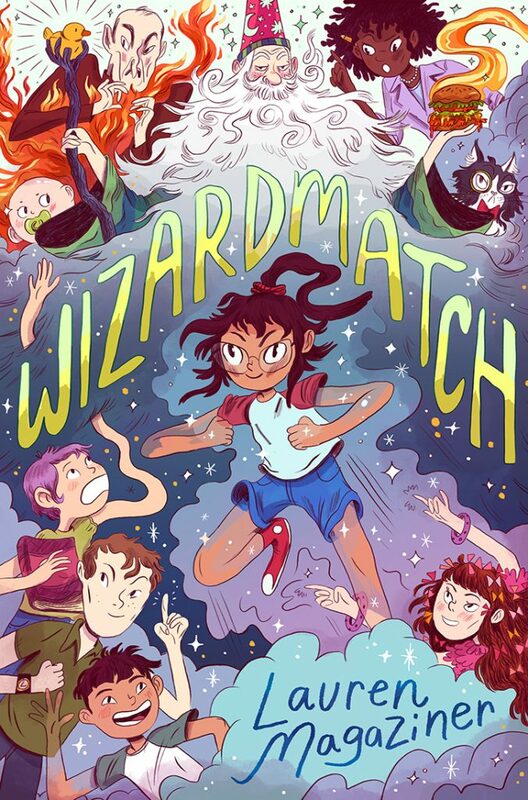 Wizardmatch is packed with whimsical names, witty dialogue, and Lauren’s imaginative humor that always fills the pages of her books, paired with clever twists that’ll have you tearing through page after page. The competition between Lennie and her family is intense and relatable for anyone with siblings or cousins that they are close with. Anyone who loves a good fantasy story or thinks the Triwizard Tournament is the best part of Harry Potter will find Wizardmatch extremely exciting. Deep down though, this book is about so much more. But Lennie’s story is more than just family rivalry between intriguing wizards with ten-second abilities or winning unlimited magic power. It’s not all magical moments, though, especially for Lennie. She begins to suspect that her grandfather only wants a boy to win to the competition and inherit his unlimited power. Lennie knows she needs to fight against this injustice, even if the rest of her family won’t speak up. Sprinkled throughout Lennie’s story are a lot of the same struggles kids are facing today which makes it extremely relevant and relatable. It’s the ridiculous, over-the-top silly Lauren Magaziner humor you know and love combined with a whole lot of heart. We just couldn’t put it down, and we think anyone else who picks it up will feel the same. 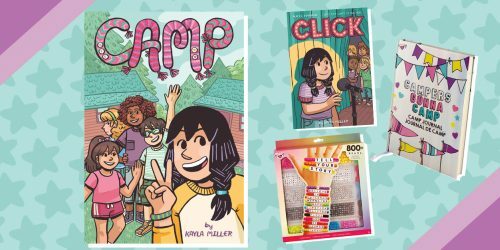 With a story this fantastic, we just HAD to chat with author Lauren Magaziner about bringing this book to life. Keep on reading to find out 10 Magical Facts she shared about how Lennie’s story and Wizardmatch came to be! The first seedling of an idea for this book came in 2012. Two names popped into my head: Mortimer de Pomporromp and Humphrey de Cobblespork. I knew immediately that they were wizards… but that was all I had. I kept those names hidden away for years as I worked out the rest of the story. The original draft of this book had thirteen families competing for the Prime Wizard position, but my editor and I agreed it was just too many characters. So I cut it down to eight families. I rewrote this book after the 2016 election result. This story was always about intersectional feminism and systemic sexism, but after November 8th, the gravity of the main character’s fury and frustration grew—and the rewrite resulted in a change of tone. I have nine different drafts of this book. The first chapter has remained exactly the same since the first draft. But I had to rewrite the ending four or five different times. My favorite character is Bo, whose ten-second wizard power is that he can eat anything and regurgitate it back up as a bird. Where did this bizarre power come from? Well, in high school, I saw a stage magician swallow an egg and cough up a small bird as part of a magic trick. It was so weird that it never left the recesses of my brain. At one point, the main character Lennie tells her grandfather that she loves him, and he responds, “I don’t blame you. I love me too.” That’s what my Poppop always said to me whenever I told him I loved him. It’s a family inside joke that I included in the book. I actually changed the way two of the characters looked to match Natalie Andrewson’s incredible cover art. Perrie (left side, middle height, front cover) originally had blonde hair, not purple. I never would have thought of purple on my own, but when I saw Natalie’s version with the purple hair, I fell head over heels. It was definitely way cooler and funner. And Ellington (bottom right, front cover) was supposed to have jet-black hair, but when I saw this version, I didn’t want a hair on Ellington’s head changed, so I made the book text match that adorable auburn. Wizardmatch is out now, so grab your rubber duckie staff and head to your favorite bookstore or library! 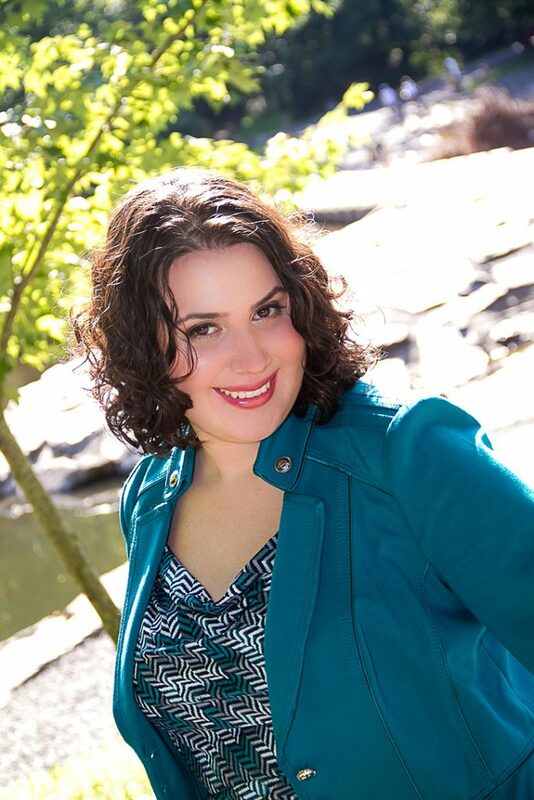 If you liked going beyond the pages of Wizardmatch, we think you’ll love our interview with Rebecca Behrens, author of The Last Grand Adventure!